The Pupil Premium Grant (PPG) is provided by the Government in addition to the main school funding. It is the Government’s belief that this is the best way to address the underlying inequalities between students eligible for free school meals (FSM) and their peers, as it ensures that funding given to tackle disadvantage can be directly targeted at the students who need it most. The Government allows the Academy to decide how best to spend the PPG, but requires us to explain how the additional funding has supported our students. You will see links below that will take you to documents that show how much funding has been received in each year, and how it has been spent. 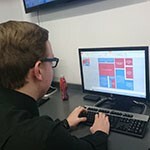 At The Academy of St Nicholas we pride ourselves on utilising this funding to analyse and develop strategies which support our students with a main focus on developing an immersive and engaging curriculum with high quality teaching and learning. In addition, we have strategies for intervention (primarily for Literacy and Numeracy) and improving attendance. Our aim is to help these students reach their full potential and narrow the gap between them and their peers. 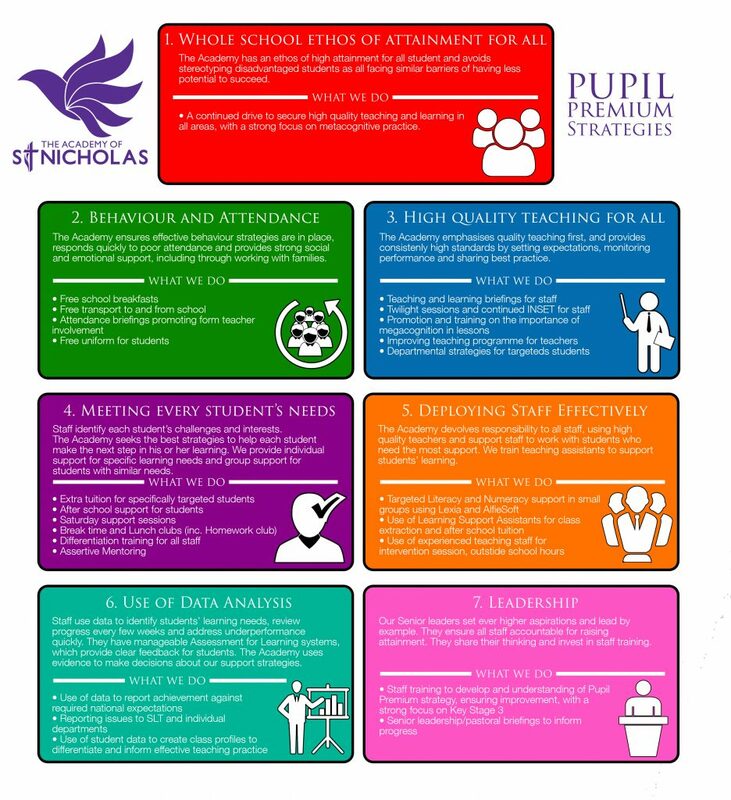 How many pupils at The Academy of St Nicholas are eligible for the pupil premium? At The Academy of St Nicholas we have a large number of Pupil Premium students, forming a majority of 69% of our overall cohort. The literacy and numeracy catch-up premium gives schools additional funding to support year 7 students who did not achieve the expected score at the end of key stage 2 (KS2). At ASN we use this funding for additional in class Learning Support in English and Maths. We also run a number of intervention programmes for year 7 students. CLICK HERE to view Year 7 Catch-up premium. How will the impact of the spending of the Pupil Premium Grant be measured? At The Academy of St Nicholas the cycle of data collection and the monitoring and tracking of the cohort’s attainment, will be used to inform student progress and enable the early identification of need, support and appropriate intervention. Participating in the Duke of Edinburgh helped me to develop my team working skills and allowed me to feel more confident in doing things independently. I believe that the extra support with English on a Saturday is really priceless to my education. I really feel the benefit of 1-1 tutoring and the standard of my work is improving. I am confident I will achieve my target grade this year. Every lunch time I receive a packed lunch during my ICT club. This allows me to spend the full 40 minutes on revising and improving my work. Our Pupil Premium strategy is reviewed annually, and is next due for renewal in September 2019.